[S6] G.E. Cokayne; with Vicary Gibbs, H.A. Doubleday, Geoffrey H. White, Duncan Warrand and Lord Howard de Walden, editors, The Complete Peerage of England, Scotland, Ireland, Great Britain and the United Kingdom, Extant, Extinct or Dormant, new ed., 13 volumes in 14 (1910-1959; reprint in 6 volumes, Gloucester, U.K.: Alan Sutton Publishing, 2000), volume I, page 380. Hereinafter cited as The Complete Peerage. [S21] L. G. Pine, The New Extinct Peerage 1884-1971: Containing Extinct, Abeyant, Dormant and Suspended Peerages With Genealogies and Arms (London, U.K.: Heraldry Today, 1972), page 140. Hereinafter cited as The New Extinct Peerage. From 17 June 1822, her married name became Smith. [S6] G.E. Cokayne; with Vicary Gibbs, H.A. Doubleday, Geoffrey H. White, Duncan Warrand and Lord Howard de Walden, editors, The Complete Peerage of England, Scotland, Ireland, Great Britain and the United Kingdom, Extant, Extinct or Dormant, new ed., 13 volumes in 14 (1910-1959; reprint in 6 volumes, Gloucester, U.K.: Alan Sutton Publishing, 2000), volume III, page 64. Hereinafter cited as The Complete Peerage. From 1787, her married name became Trevelyan.1 From 19 January 1836, her married name became Smith. After her marriage, Charlotte Hudson was styled as Baroness Carrington of Upton on 19 January 1836. [S6] G.E. Cokayne; with Vicary Gibbs, H.A. Doubleday, Geoffrey H. White, Duncan Warrand and Lord Howard de Walden, editors, The Complete Peerage of England, Scotland, Ireland, Great Britain and the United Kingdom, Extant, Extinct or Dormant, new ed., 13 volumes in 14 (1910-1959; reprint in 6 volumes, Gloucester, U.K.: Alan Sutton Publishing, 2000), volume III, page 63. Hereinafter cited as The Complete Peerage. Her married name became Brydges.1 After her marriage, Mary Hopton was styled as Baroness Chandos of Sudeley on 21 February 1593/94. From 26 December 1769, her married name became Ponsonby. After her marriage, Hon. 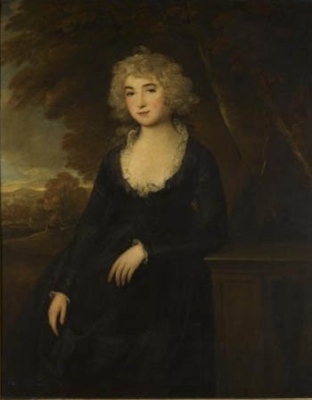 Louisa Molesworth was styled as Baroness Ponsonby of Imokilly on 13 March 1806. From 21 July 1823, her married name became FitzWilliam. [S6] G.E. Cokayne; with Vicary Gibbs, H.A. Doubleday, Geoffrey H. White, Duncan Warrand and Lord Howard de Walden, editors, The Complete Peerage of England, Scotland, Ireland, Great Britain and the United Kingdom, Extant, Extinct or Dormant, new ed., 13 volumes in 14 (1910-1959; reprint in 6 volumes, Gloucester, U.K.: Alan Sutton Publishing, 2000), volume X, page 576. Hereinafter cited as The Complete Peerage. [S6] Cokayne, and others, The Complete Peerage, volume X, page 577. [S6] Cokayne, and others, The Complete Peerage, volume X, page 578. Her married name became Douglas. After her marriage, Lady Margaret Stewart was styled as Countess of Queensberry on 8 March 1639/40. [S15] George Edward Cokayne, editor, The Complete Baronetage, 5 volumes (no date (c. 1900); reprint, Gloucester, U.K.: Alan Sutton Publishing, 1983), volume IV, page 328. Hereinafter cited as The Complete Baronetage. [S6] G.E. Cokayne; with Vicary Gibbs, H.A. Doubleday, Geoffrey H. White, Duncan Warrand and Lord Howard de Walden, editors, The Complete Peerage of England, Scotland, Ireland, Great Britain and the United Kingdom, Extant, Extinct or Dormant, new ed., 13 volumes in 14 (1910-1959; reprint in 6 volumes, Gloucester, U.K.: Alan Sutton Publishing, 2000), volume V, page 605. Hereinafter cited as The Complete Peerage. [S15] George Edward Cokayne, The Complete Baronetage, volume IV, page 286. [S6] G.E. Cokayne; with Vicary Gibbs, H.A. Doubleday, Geoffrey H. White, Duncan Warrand and Lord Howard de Walden, editors, The Complete Peerage of England, Scotland, Ireland, Great Britain and the United Kingdom, Extant, Extinct or Dormant, new ed., 13 volumes in 14 (1910-1959; reprint in 6 volumes, Gloucester, U.K.: Alan Sutton Publishing, 2000), volume X, page 577. Hereinafter cited as The Complete Peerage. Her married name became Ponsonby. 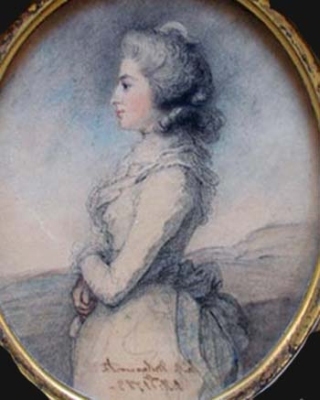 After her marriage, Lady Elizabeth Frances Villiers was styled as Baroness Ponsonby of Imokilly on 5 November 1806. After her marriage, Lady Elizabeth Frances Villiers was styled as Viscountess Ponsonby of Imokilly on 20 April 1839. [S3806] -Alice Munro-Faure, "re: Villiers Family," e-mail message to Darryl Roger LUNDY (101053), 16 June 2009. Hereinafter cited as "re: Villiers Family."